Once upon a time there was a land where flowers and grasses rose above the tallest towers. 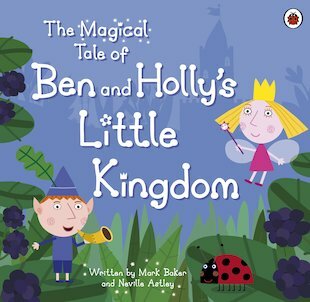 Discover the magical world of the Little Kingdom in this spellbinding storybook. Learn all about Ben and Holly’s friends and family, and see how their enchanted kingdom came to be! Perfect for sharing at bedtime, this lovely picture book explores the world of the TV series in simple text and quirky illustrations. Full of elfin spark and fairy charm, it will enchant young fans of the show.